You’re sitting on a tropical beach in Belize. The sun is warm against your tanned (ok, sunburned) skin. The leaves of the nearby palm tree are rustling in the light breeze playing a relaxing song that reminds you that an afternoon nap is inevitable. The seagulls and pelican sitting on the dock are singing tunes while hunting for their next meal. The fresh smell of coconuts and seafood is floating down the beach from the local restaurants and fishermen are dropping off their daily catch. Small children are giggling and splashing water at each other as the waves break against the hot, white sand. You take a sip of your cold beer and think this is paradise. 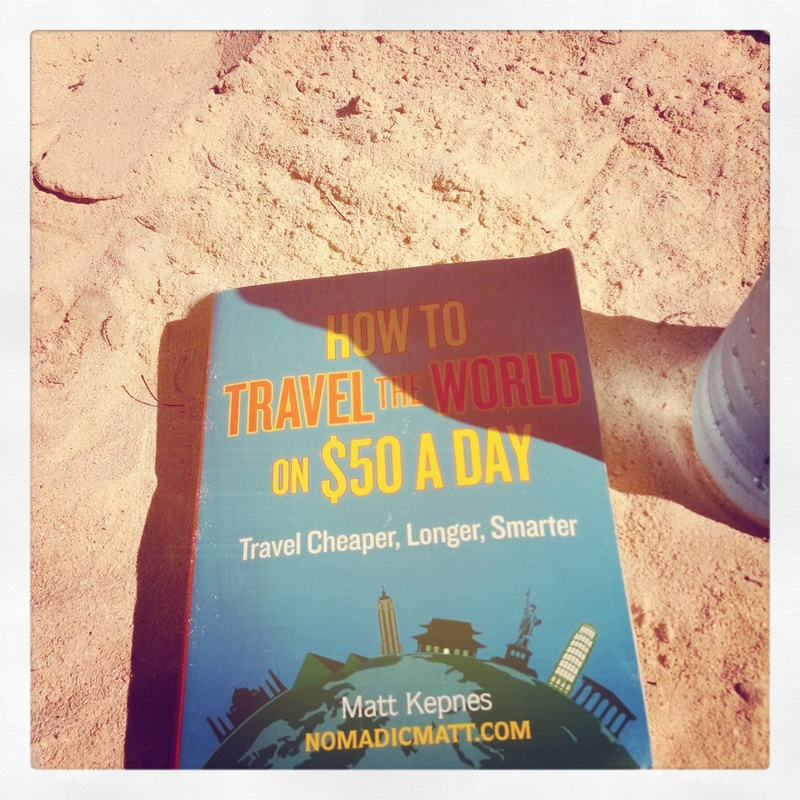 I first read Matt Kepnes’s How to Travel the World on $50 a Day while traveling in Belize this May. I had just spent the morning snorkeling in Hol Chan Marine Reserve with stingrays and sharks and was ready for some light reading on the beach while drinking the local beer. Life was real tough. 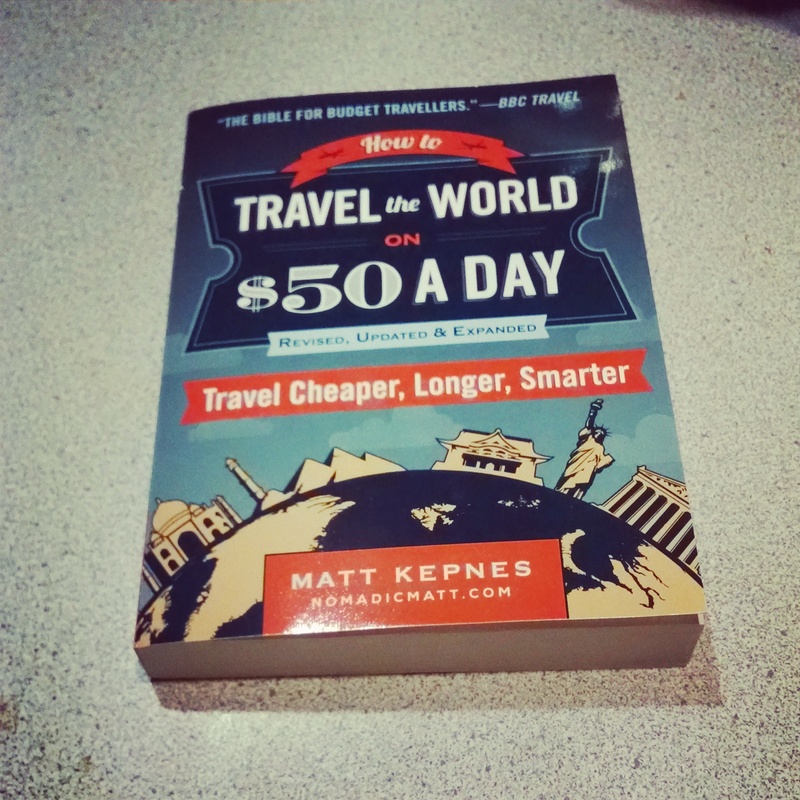 Tomorrow Matt’s “revised, updated, and expanded” version of How to Travel the World on $50 a Day comes out and I highly recommend you grab the book to discover how you too can afford to travel the world. The updated version has over 100 new pages of materials including new chapters on China, India, and Japan. Nothing in Matt’s book is a secret. Much of the information found in the book is already on his website, NomadicMatt.com, in more detail, but it can be time-consuming to comb through the thousands of blog posts on his site when you can just pick up his book for $15.00 and have all the information in one place. I really enjoyed his first version of the book and devoured it in one afternoon laying on the beach in Belize getting an epic sunburn. Lesson learned – wear a shirt when snorkeling or you will probably get a massive sunburn and bring new meaning to “the wandering lobster.” Feel free to add that tip to your next book Matt! I jumped at the chance to read Matt’s latest version and it did not disappoint. While most of the book is the same, just updated with newer facts and numbers, the new sections were a great source of information. The book is broken down by steps and as someone who loves processes and methods, I appreciated this logical approach to planning a trip. Too many people get bogged down in the details about prepping for long journeys that they often forget crucial details such as visas, travel insurance, and having an ATM fee-free debit card that they just continue dreaming about traveling the world and never actually do. Matt does a nice job of addressing the need-to-know facts of traveling while providing personal examples of his ups and downs from the past 8 years living on the road. When Matt is not an expert on a specific areas of travel, such as solo female travel (for obvious reasons), he interviews other experts and provides their best tips and tricks in the chapters. There are a few areas of Matt’s book that didn’t make the update list that I personally wish that did. One chapter that I think could have been updated was the section on Around the World (ATW) airline tickets. The examples he gave were calculated in February 2012 and are no longer accurate. It’s not a huge issue as most travelers don’t utilize ATW tickets, but something that I would like to see updated in the future. I also found a couple of inaccuracies in a few sections on airline mileage programs (pages 38-39). Matt says that all airline or reward credit cards give you 6 months to reach the spending limits to earn the sign-on mileage bonus, which is not true for most cards. It is generally 3 months. A few cards with higher spending levels may give you 6 months. Matt also claims that he only gets cards when they have a spending level of $1,000. A low spending level of $1,000 is awesome and I agree with him, but it’s tough to find a card with a low spending limit in 2014/2015. Most cards are around $3,000, but some airlines may run special “target” promotions of lower spending limits. Airline mileage programs are constantly changing, but since I have also read Matt’s Travel Hacking Guide (which is currently 30% off right now! ), I know this information is a little off. Aside from a couple of typos and grammatical errors, the book is filled with tons of excellent advice. As someone who spent countless hours combing through his site last year around this time before realizing that he had a book, I did pick up some new tidbits that I have used in my own recent travel adventures. The appendix at the end of the book is full of helpful website links on transportation, hostels, and tours for specific countries. Overall, if you’re a relative newbie to traveling, I think this book is worth picking up for the information and stories. If you’ve done a lot of traveling then it may be a lot of information you already know, but I’m sure you will learn a thing or two! Matt is doing a worldwide book tour starting tomorrow in NYC. If you’re in NYC make sure you head over to Strand Bookstore for 7pm. If you’re not in the Big Apple like me, don’t worry Matt will probably come to a city near you. I plan on seeing him at the Boston Globe Travel Show on February 7th. You can check his schedule here. Disclaimer – This book was provided to me courtesy of Matt Kepnes and Penguin Books. Like always, all my opinions are my own. Trust me, if I hate something you’ll know.